Former Miami prosecutor serving the people of South Florida in the areas of defense, immigration, and more. Nisha Jones is one of South Florida's most sought after attorneys. She holds a National Board Certification in Criminal Trial Law from the National Board of Trial Advocacy. In law school, she graduated number one in her graduating class for Trial Advocacy, Advanced Trial Advocacy, and Immigration Law. 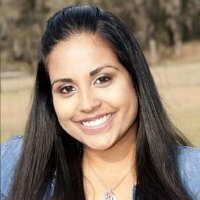 She has been recognized and awarded by the prestigious Florida Bar of Criminal Defense Attorneys for her Trial Advocacy Skills and Excellence, and won the 2012 national championship in Washington D.C. at the annual Georgetown Invitational trial competition, along with receiving an award for Most Overall Excellence in Trial Advocacy. She handled thousands of cases as a Prosecutor at the Miami-Dade State Attorney's Office before she decided to start her own firm, and was recently nominated in 2018 as one of the Top 40 Under 40 trial lawyers by the National Trial Lawyers Association. With a variety of expertise, her firm offers aggressive legal counsel to the people of South Florida and abroad. Copyright © 2019 Nisha Jones Law, LLC. All Rights Reserved.